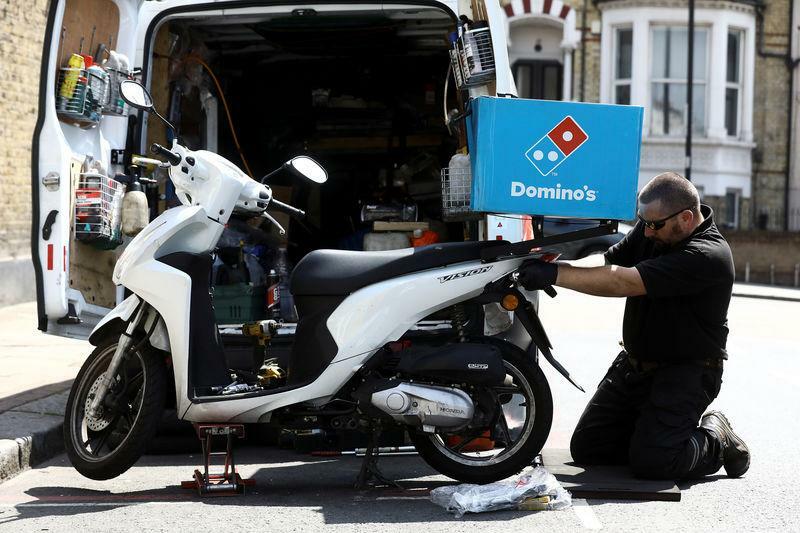 LONDON (Reuters) - Domino's Pizza Group (DOM.L) said its chief financial officer Rachel Osborne had left with immediate effect, in a statement which reiterated that the biggest pizza delivery firm in Britain was on track to meet guidance. The London listed company, a master franchisee of U.S. group Domino's Pizza Inc (DPZ.N), said it would start the search for her replacement and make an announcement in due course. "The board reiterates the outlook it gave at the time of its full year results in March, and the confidence in the company's performance in 2018 and beyond," Domino's added in its statement.